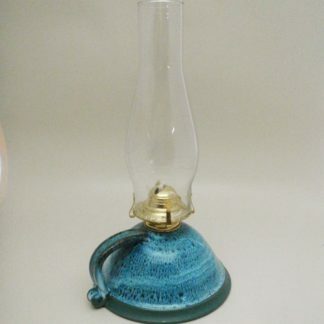 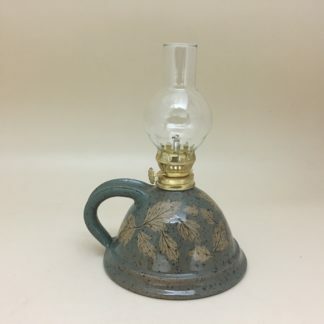 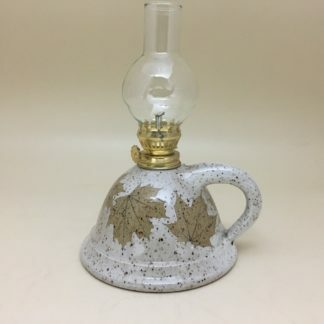 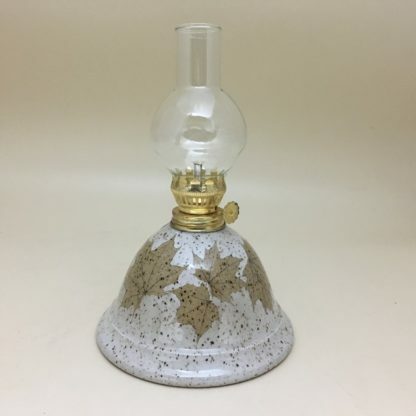 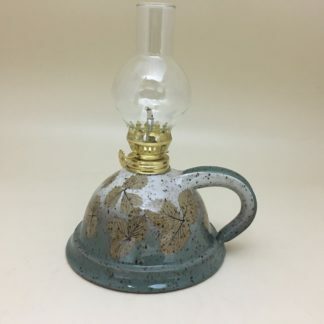 This beautiful and functional oil lamp is sure to brighten your nights. 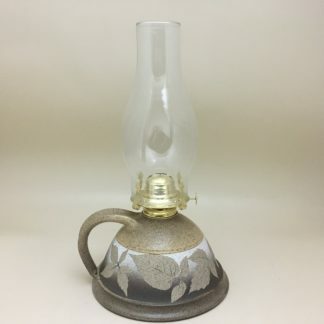 A must have when power outages strike. 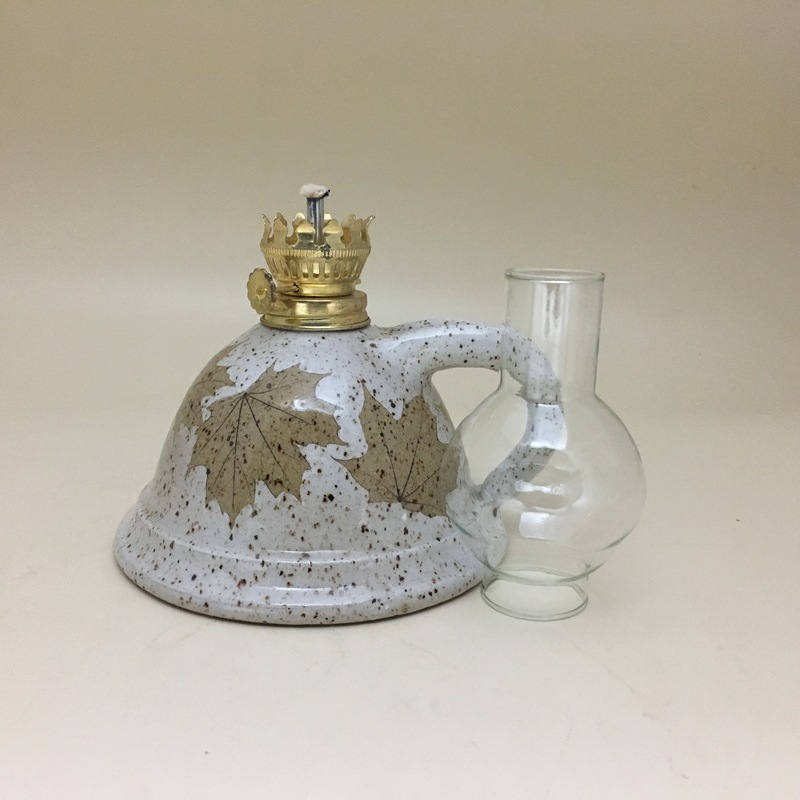 Decorated with tan sugar maple leaves on a white background, finished with a clear shiny glaze. 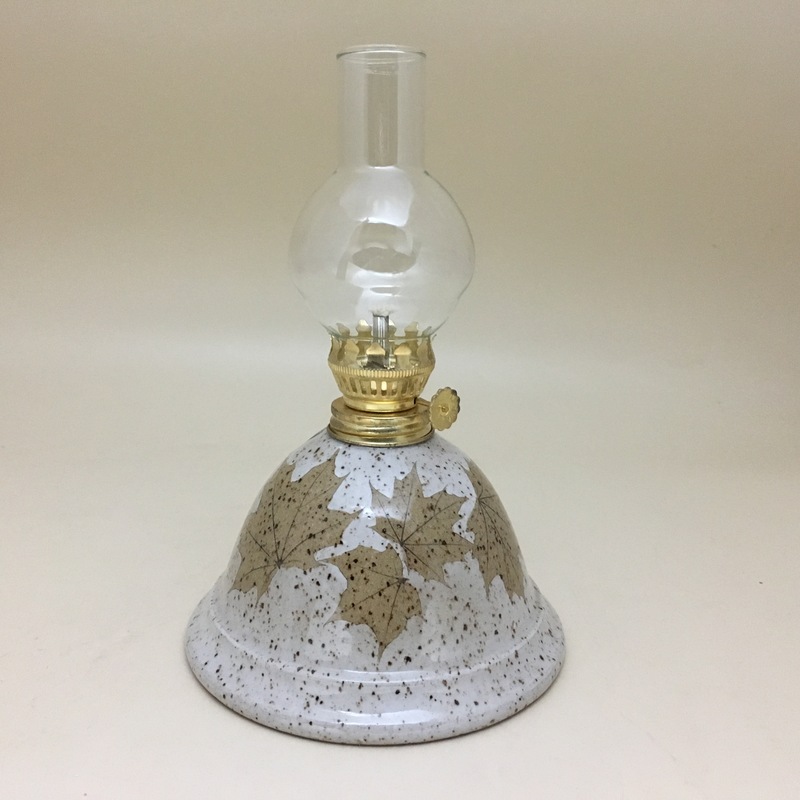 About 8″ high, including glass chimney. 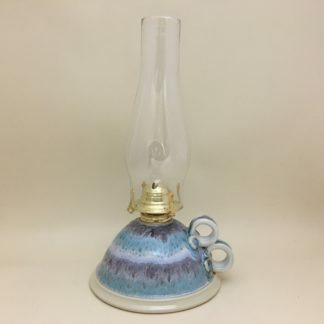 Design may vary slightly.